Any person, no matter their situation in life, requires the proper nutrition to function well. Employees work better with a variety of healthy food options. 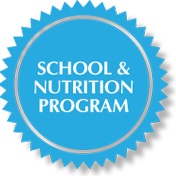 School-aged children enjoy school and learn more when they have access to an appropriate nutrition program. The elderly also deserve food options catered to their stage of life. Healthy food provides the building blocks of lives everywhere, but anyone in food services knows that custom options provide the best avenue possible. At New Horizon Foods, we provide food service programs in Madison, WI and the surrounding areas. And to better serve your needs, we provide you and thousands of other recipients with customized and nutritional meals. It’s not always easy to meet the nutritional needs of a large and diverse group of people. Several different factors play a role in the basic requirements of any given group. New Horizon Foods considers each one of these factors as we create meals for a variety of age groups and organizations. Countless organizations require legitimate and reliable food services. If you seek a provider of food service programs in Madison, WI, let us show you the benefits of our service. To learn more, contact us at 1-877-900-0127.